"You just don't know how magnificent you might be. Think big! Think big about your possibilities in this world." 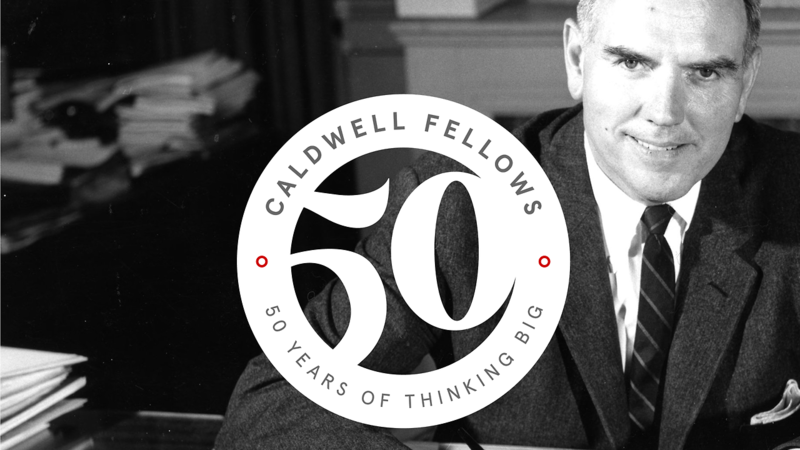 Named for John T. Caldwell, NC State’s chancellor from 1959 to 1975, the Caldwell Fellows Program builds on his legacy of leadership, service and scholarship. Students who share a passion to learn, grow and serve others can apply to become a Caldwell Fellow during their first year at the university. 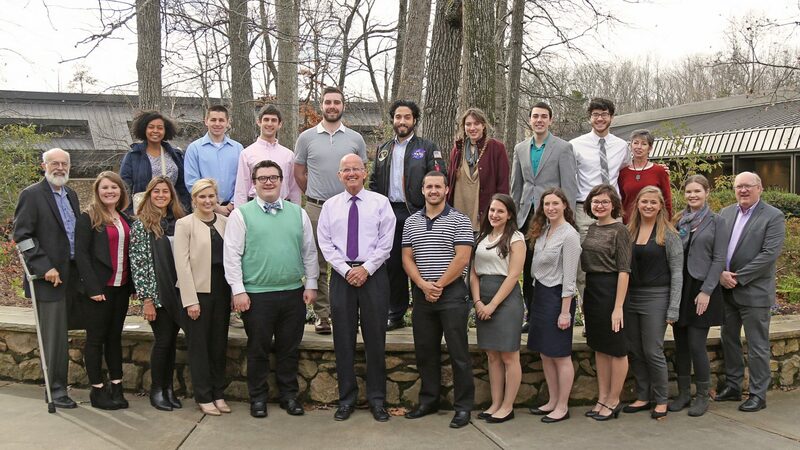 Supported by alumni and friends, the program is dedicated to developing students as individuals and as servant-leaders — now and throughout their lives. Below, you can learn more about the ongoing impact of the Caldwell Fellows as the program marks its first 50 years. Since 1968, the lives of more than 1,300 NC State students have been transformed by the Caldwell Fellows, the university's oldest undergraduate scholarship and leadership-development program. Tre’ Dennis credits the Caldwell Fellows Program with helping shape him as an individual, not only through off-campus experiences but with leadership opportunities and day-to-day interaction with other Caldwell Fellows on campus. Being a Caldwell Fellow has helped Akshatha Kiran reflect on her priorities and confirm her goal of becoming a doctor who gives back to the world through service. The Caldwell Fellows is much more than a “scholarship program” for sophomore Julia O’Brien, who is on the move in 2018. The Caldwell Fellows Program has prepared Jess Errico to lead and to shift her career path. 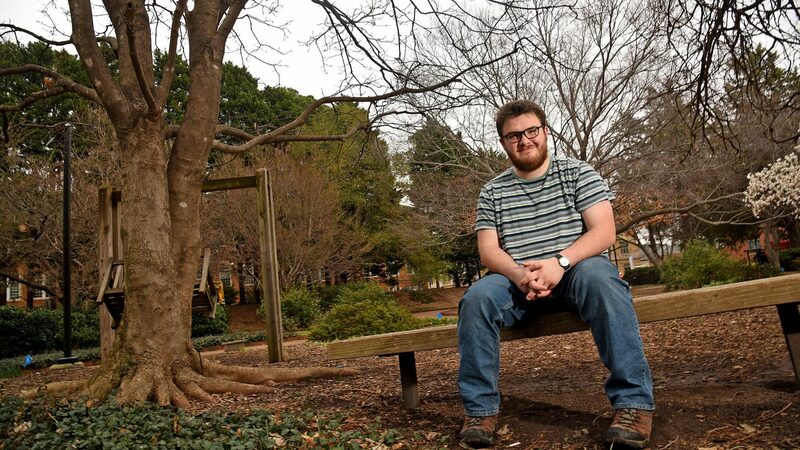 For senior Abel Walker, the opportunities offered by the Caldwell Program have "changed everything" about his college experience. 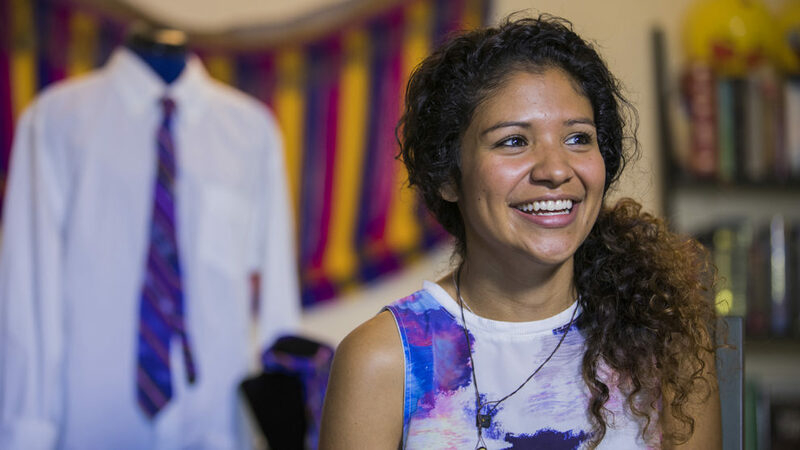 Lisbeth Arias realized a dream when she held a launch celebration for her clothing line, Descalza, at her alma mater, NC State’s College of Textiles. The Caldwell Fellow alumna is working to build her own business. As the director of NC State’s Caldwell Fellows, Gerald Hawkins seemed to take every student under his wing. Now, many Caldwell alumni have joined forces to honor his work by raising funds for a namesake endowment. Being a Caldwell Fellow at NC State led alumnus Vansana Nolintha down a very unexpected path — inspiring a return to his Laotian roots and a successful career as a restaurant owner. The doors opened by her Shelton-Caldwell Fellows Scholarship have taught Adora Nsonwu valuable lessons about being a servant leader and about discovering her passions. Keep up to date on extraordinary happenings at NC State. Sign up for our weekly newsletter and follow us on social media.